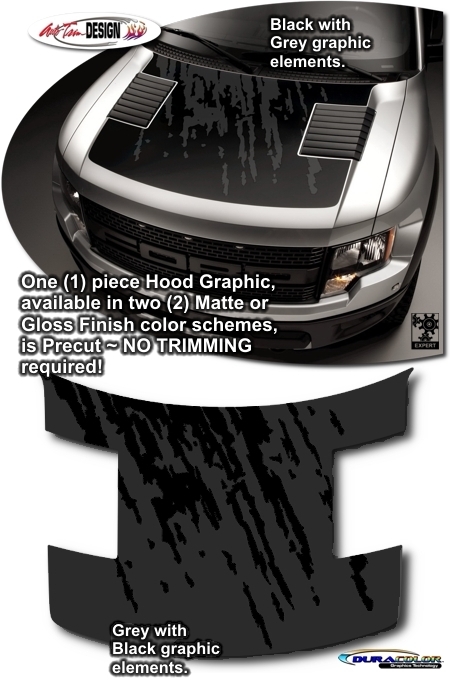 Make your '10-'14 Ford F-150 Raptor Hood stand out from the rest with this unique Hood Graphic kit. This kit is PRECUT and ready to install in one of two (2) color schemes - NO TRIMMING required! Kit is specifically made for the '10-'14 Ford F-150 Raptor factory Hood and will not fit any other vehicle.